Iconic thrash metal band DESTRUCTION are set to release their new thrash metal hammer Under Attack on May 13th via Nuclear Blast Records. 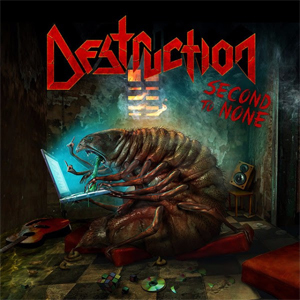 The band has just released the first digital single "Second To None". The song is now available as an instant grat track when you pre-order Under Attack HERE. DESTRUCTION premiered the lyric video for the new track on YouTube recently and now you can check it out below. "The lyric video of "Second To None" explains itself, the problem with all the hate in the net is getting more and more present and meanwhile it also has certainly effected our music scene, RIP Keith …"
"Getting Used To The Evil"
"Stand Up For What You Deliver"